I had wanted to try a Didymos Indio for a long time after hearing such great things from Indio devotees about the wrapping qualities of these beautiful patterned wraps. 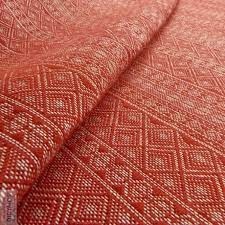 Didymos has a great little blurb on how these wraps are woven on their website :(http://www.didymos.de/en/Babywearing/DIDYSling/Indio/) "The INDIO fabrics are woven on a dobby loom. The dobby weaving technique is related to the Jacquard technique and it regularly alternates different weaves to create a particularly fine and graphic pattern. It is very similar on both sides, though one side being the negative of the other one. Our INDIO fabrics are particularly soft, fluffy to the touch and have good diagonal stretch." I saw that Didymos released an extra wide Indio, called Bordeaux, and decided to try it out, as I love width in wraps with Mr. Seat Popper. When I received it brand new in the box it was incredibly stiff, which I have heard is common with a new hemp blend. I washed and dryed it per instructions and it came out of the wash ready to be worn. The difference with that one wash and dry was fantastic! I wore this wrap for both front and back carries with my son who was approx. 27lb at the time. It was incredibly bouncy and comfortable, I found the blend very cushy for how thin the wrap was. It felt a bit like shock absorbers on the shoulders because of the really nice bounce. There was no sag whatsoever to this wrap either. The width was a little bit too much, even for me. I think I measured it to be about 32 inches wide, which sometimes was a bit overwhelming if not wrapped carefully. I never had an uncomfortable trip in this wrap, and I wore it often over the hot summer months without feeling like the hemp was too hot or heavy. 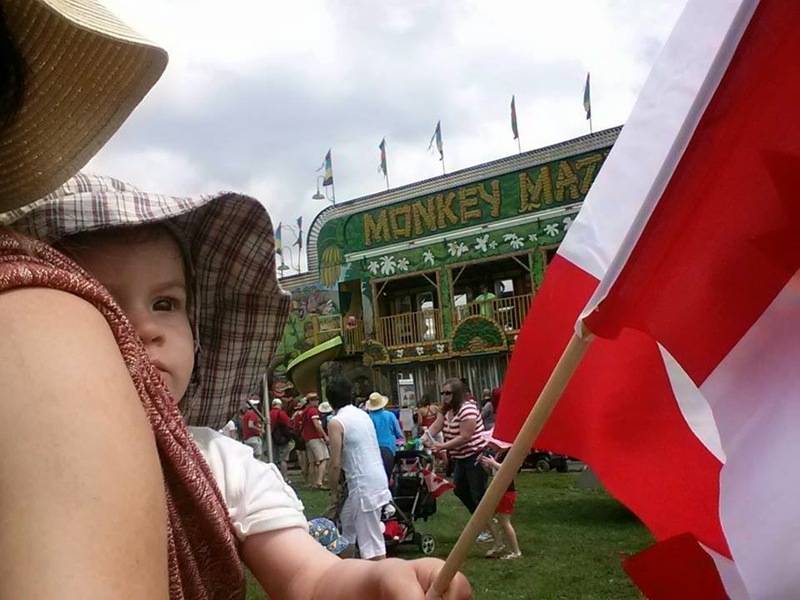 On Canada Day, my three year old 40lb son and I watched the fireworks late that night, and I rucked him home in this wrap in comfort when he was too tired to walk back. I ended up selling this wrap to be able to try more things, but I would buy another hemp indio in the future with no hesitation, as it was super comfortable. Pros: Hemp is bouncy and easy to care for, the pattern is neutral, the colours available for hemp indios are beautiful. Cons: The extra width of this wrap was a bit much for me, only truly appreciated when wrapping a very tall three year old. Recommendation: I think everyone should try a hemp indio at some point in their churning life, this was a super comfortable and versatile wrap. It was lovely in single and multi-pass carries, for both front and back wearing.